English Language for children under 4 years old. Do you want to give your child an additional advantage in the labor market when he grows up? Do you want your child to understand and speak English? Do you want to partially relieve the burden when he goes to school? If you answer "YES" to one question at least, we will present to your a program for teaching children English from a very early age - BABY ENGLISH TV. To whom is the program for. The program designed for children from 6-8 months to 3.5-4 years old for learning English at home. Parents do not need to know English. You have to follow the recommendations and make time for child 30-40 minutes per day to play with him. The program includes all what child needs to learn English at this age. You can use the program for older children who have just started to learn English. 1) Create a bilingual environment for the child in the family for natural language learning, so that he will learn English as a native speaker. This is the only effective method of learning language for young children, which is based on LISTENING, REMEMBERING, REPEATING. 2) By 3.5-4 years, the child's understanding of natural English speech by ear. 3) To ensure that the child will begin to speak a little English (at least to repeat). The second point is extremely important for the successful learning of the language by the child. He may not speak (and most likely will not speak) like an English child. But to understand what they say should be like a real Englishman or an American. Why this is important you can read in the article "How do children learn the language? At what age do we need to start learning English?". Link below. Collection of various videos for children from 8 months to 4 years. The duration of each collection is from 35 to 45 minutes. Children become bored with monotony quickly. Therefore, each compilation consists of a variety of materials, in order to keep the child's interest in viewing. There are collected popular children's songs, songs with a pronounced training orientation, flash cards with words and expressions, playing videos with children, cartoons in the video compilations. All videos are recommended by English teachers, who specialize in teaching to young children, for whom English is not native. Collections checked and approved by a child psychologist. Selection of Books for children under 4 years. The books were vividly illustrated. The child will be pleased to treat them on a computer, tablet and even a phone. All books voiced by English native speakers. Some of them got voices of English-speaking children. One time is not enough. Read and listen books every day. Especially before bed. Children at this age will listen to the same story many times with pleasure. This will help them memorize words better. Most books have been translated into video files and included in our compilations. Children will be interested to see the book on TV, and then look through the pictures and listen to the text (or vice versa). No need to connect to the Internet. The library can be downloaded and it will be available for viewing and listening offline. Games with a child - this is the most effective way to not only teach him to understand English, but also to speak. 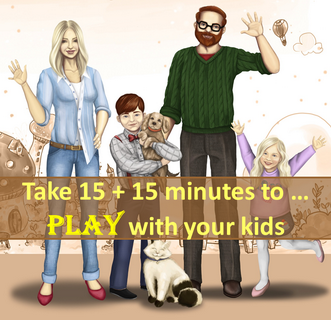 15 + 15 minutes every day will ensure the child's knowledge of all the main verbs and simple phrases with these verbs. Knowing the nouns needed for a child is the name of the subjects with which it faces. Knowledge of the basic adjectives - colors, basic characteristics of objects (large, small, hard, soft, etc.). The main problem of learning English by young children at home with the help of games is that parents do not speak English at a sufficient level, or do not know it at all. Solve this problem - the main task of the program "Baby English TV". And this task was originally solved. Periodic audition is very important. 1) Audio files that were designed for children - designed to help children perceive English speech by ear. 2) Audio files that were designed for parents - will help parents who want to help their children learn English. RECOMMENDATIONS. ADVICE. ANSWERS TO QUESTIONS. Methodical instructions for parents who do not speak English at all. Methodical instructions for parents who speak English at a low level. Methodical instructions for parents and children over 4 years old who have just started to learn English. Recommendations and instructions for using the library. Recommendations and instructions for games. Plan of lessons for 3.5 years. Answers on questions. Description of the various problems (situations) that may arise in the process of learning English by your child, and the ways to solve them (! Important). If your child is more than 4 years old, you should subscribe to the site "Baby English Best". We recommend visiting the site "Baby English Club" "Baby English Club" with a presentation. Go to the presentation "Baby English Best"
You can find more information (PDF files, samples, prices etc.) at the service website for parents http://babyenglish.gift. Access to this site is only for our subscribers. In order to gain access to the site you need to subscribe, confirm the subscription and get a login and password to enter the site.